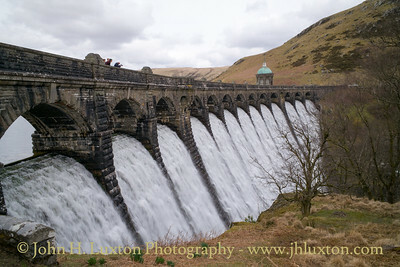 The area of Powys around the Elan Valley Reservoirs. 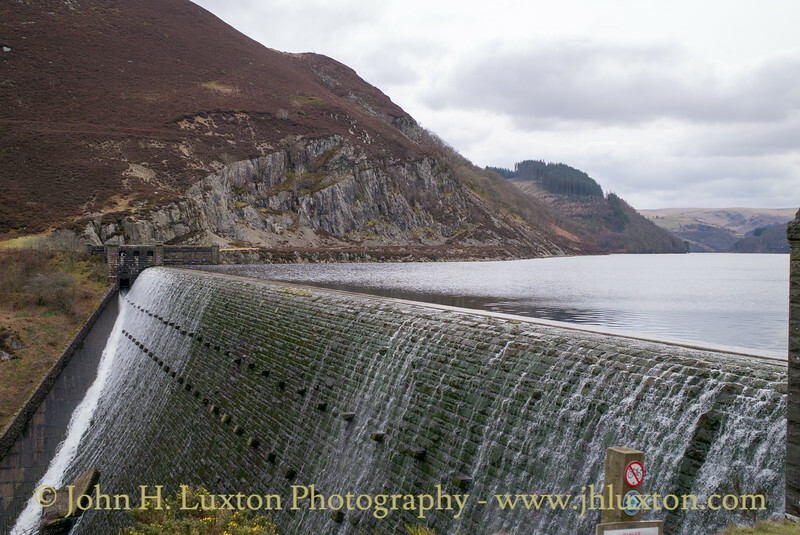 The reservoirs were originally constructed by Birmingham Corporation to improve water supplies to the English midland city. 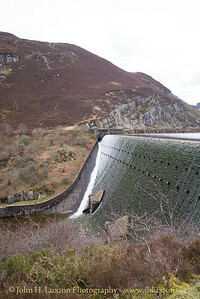 Today they are managed by Dwr Cymru (Welsh Water) and are an important recreational resource as well as a water resource. 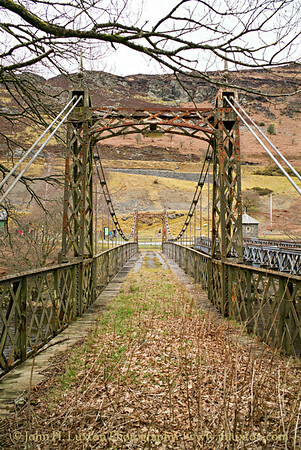 The scale of engineering is typical of the municipal pride displayed in late Victorian public civil engineering projects. 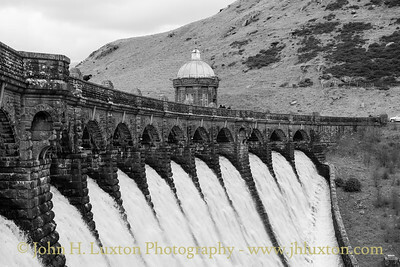 Craig Goch Dam, the highest upstream of the series of dams in the Elan Valley, is often referred to as the 'top dam'. 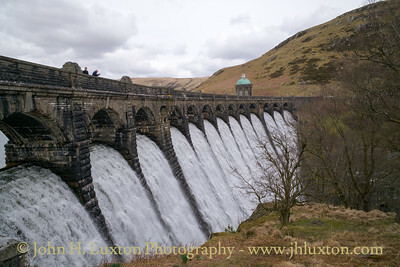 It is located at a height of 1040 feet (317m) above sea level. 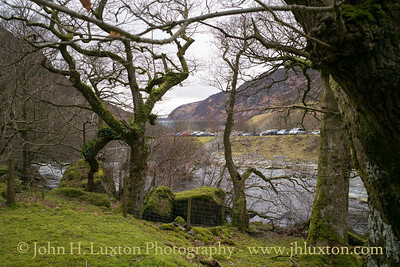 As with all the dams, work started with the arrival of the railway line at the site. 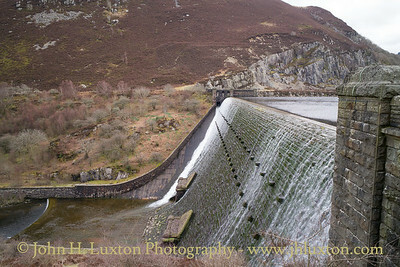 In the case of the top dam the line had the farthest to go and a rocky outcrop had to be blasted and dug through on the route to the site. 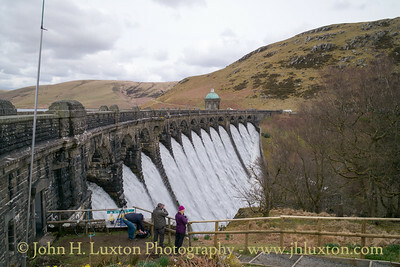 Work on excavating the foundations for a secure base for the structure started in July 1897, some three years after the start of work on the lowest dam at Caban Coch. 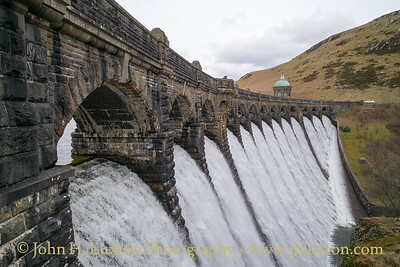 Craig Goch is seen by many as the most attractive of the dams, with an elegantly curved retaining wall and a series of arches carrying a narrow roadway across the top of the dam. It has a domed valve tower and the structure is typical of the 'Birmingham Baroque' style of much of the waterworks scheme. 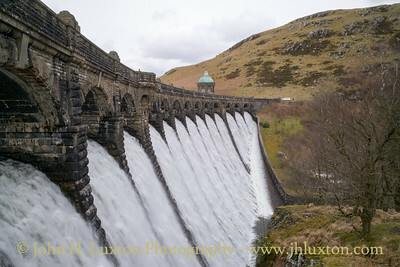 Caban Coch Dam is the lowest of the dams in the sequence of four built in the valley of the Elan River. 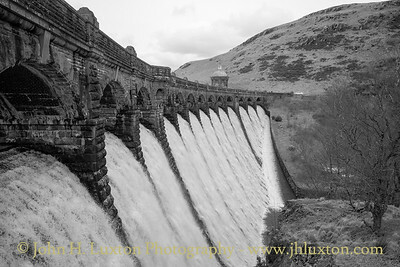 It is the simplest and most functional in appearance of all the dams, designed to resemble a natural waterfall when the reservoir is full and the dam is in full spate with water pouring over the dam wall. 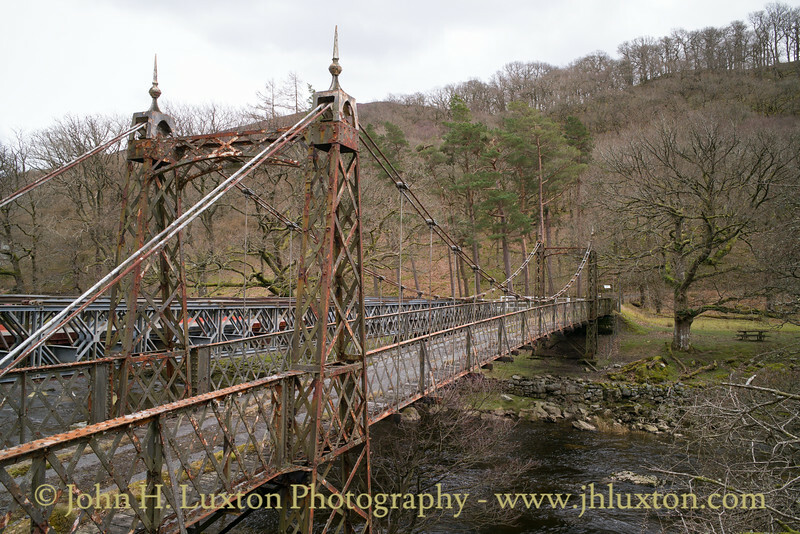 Construction began in 1893 and lasted 11 years. 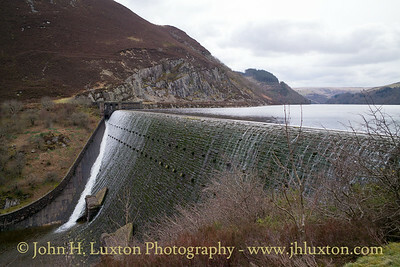 Caban Coch Dam is the lowest of the dams in the sequence of four built in the valley of the Elan River. 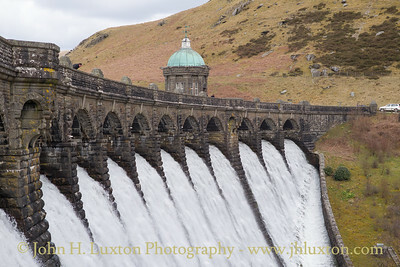 It is the simplest and most functional in appearance of all the dams, designed to resemble a natural waterfall when the reservoir is full and the dam is in full spate with water pouring over the dam wall. 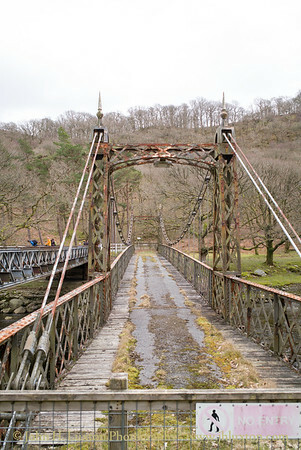 Construction began in 1893 and lasted 11 years. 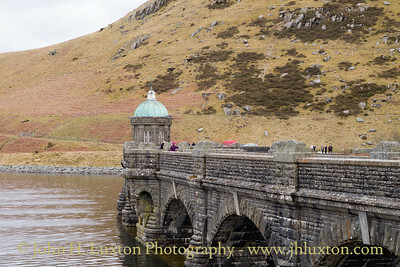 There are identical stone buildings on either side of the river just below the dam wall which house electricity generating turbines and valves and sluices to adjust the amount of compensation water released downstream. 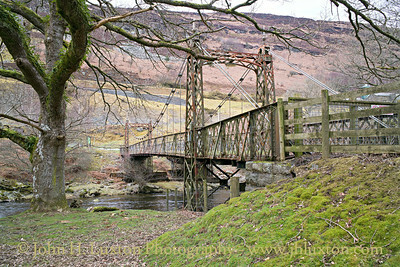 The Elan Village suspension bridge crosses the river Elan about 0.5 km downstream of Caban Coch dam. 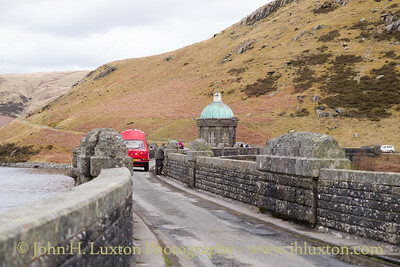 It was built by the Birmingham Corporation to provide access to the workers' village during the construction of the reservoir complex in the late 19th Century. 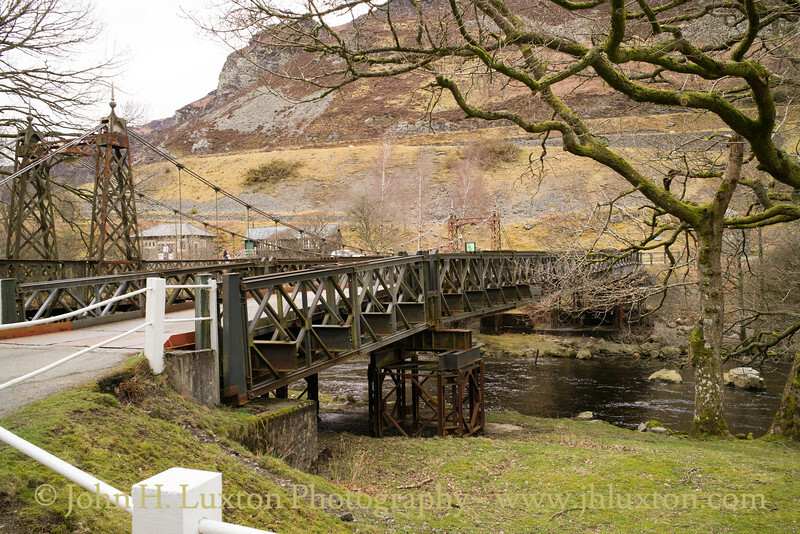 The bridge was closed to vehicles and pedestrians in 1988 because it was deemed too dangerous to use, it was replaced by a temporary “bailey bridge” to maintain access to Elan Village. 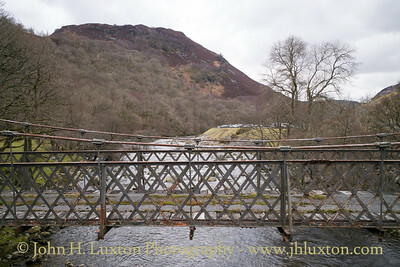 Today 30 years on the bridge remains in place but as yet has not been restored. 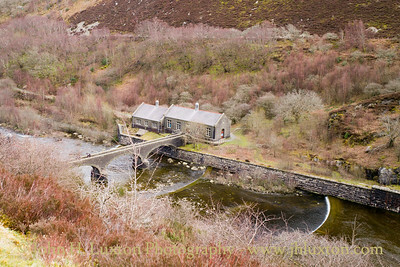 Caban Coch Dam can be seen from near the Elan Village Suspension Bridge.